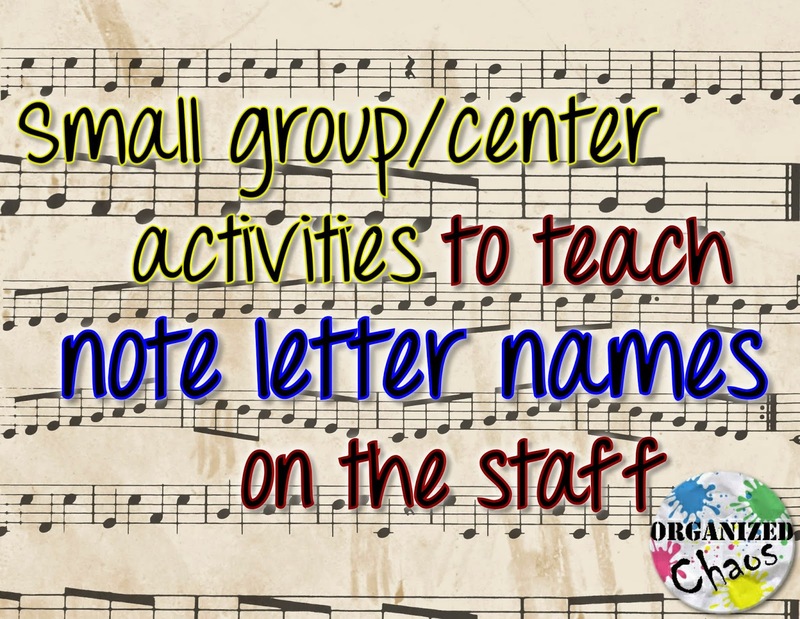 If you missed last week's Teacher Tuesday post, I talked about my favorite full-class activities for teaching the letter names of notes on the staff in any clef. You can read that post here. Today, as promised, I'm back to talk about my favorite activities to teach letter names in small groups. I use these activities primarily in centers, where students are rotating through the different activities to practice the letter names. 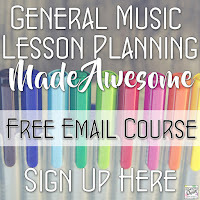 Whenever I introduce a new clef (I push treble clef in 3rd and bass clef in 5th grade), I usually plan one class period of full-class activities to practice the letter names, and then one class period of centers, where students can get more practice. 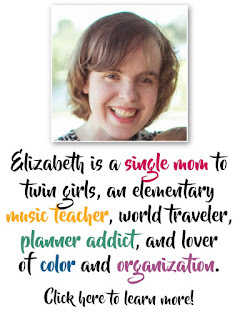 As with most center activities, the students need to have some grasp of the concept (or have a place to find that correct information) in order to successfully complete the activity independently. This iPad app comes in a free and paid version. The free version has ads, but the paid version is just $1.99 so it's probably worth the investment. I love this app because you can customize it to treble, bass, or both clefs, you can customize the range of notes it displays- you can set it to use ledger line notes or just the line and space notes, and you can choose the amount of time on timer. I like to use the 1 minute timer so that it keeps the fast pace. There are plenty of other great iPad apps, both free and paid, for practicing letter names on the staff- this is just one example- but I do like this one because it is simple, straight-forward, and fast-paced. Here are some other great iPad apps for practicing note names. I print off a picture of each note on the staff (one of each letter name) and one of each of the letters A-G, and put them on construction paper (I've done it where all the cards were the same color, or where the notes were on one color and the letters were another- two different levels of difficulty depending on what you do). The rest is just like memory matching except you are matching the note to the correct letter. I like having this center because it is a bit more low-pressure than some of the others. There are a lot of ways to do this but my favorite method (because it is the most low-maintenance) is this: I have words spelled with note letters (like CABBAGE or FADE) on folded pieces of paper in a cup, and enough dry erase boards and markers for each student. On "go", each student opens the paper they picked from the cup and races to write whatever word they got on the staff. Whenever they finish writing they yell "done" and the other students check their answer. If it's wrong, the game continues. This idea has been making its way around Pinterest for a while under a few different names (including Fiddle Sticks and Busted), but whatever you call it, it's definitely a kid favorite! I use this for rhythms as well. I'll let the guy that I took the idea from explain (see video below), but for my version I write the notes on the staff on the sticks and the student has to identify the letter name. If you've been paying attention you know that this was on my list for full-class activities as well. I use it for both. Basically one person says a letter name and the other students race to touch the note on the staff. What's fun about doing it as a small group activity is that I have the students take turns being the judge and caller. They LOVE getting to do that after doing it as a whole class beforehand. I've set it up for small groups by writing on a regular whiteboard or showing a projected image, and having them use fly swatters to swat the note or just hitting it with their hands. Well, there you have it: my favorite small group activities for practicing note letter names. I hope you found these ideas helpful! Well, you know I use duct tape all over my floor so I'm obviously not a stickler for keeping my carpets from getting damaged.... It was already yucky when I came though so nobody has complained. If the carpet was not on its last leg I would definitely be keeping the duct tape far away from it! I don't think washi tape would stick, but the FLOOR TAPE that the PE teachers works on carpet without leaving a residue. You do need to peel it up and replace it ever 3 weeks or so. I love using these small group ideas as center rotations for my 3rd graders right before we start recorders- it's a fun way to practice AND gives me a chance to assess where everyone is before we dive into the mechanics of playing. You are amazing. So many great ideas! Thank you for sharing!!! Aw thank you, that is so sweet of you to say! I'm glad you are finding the ideas helpful for you!